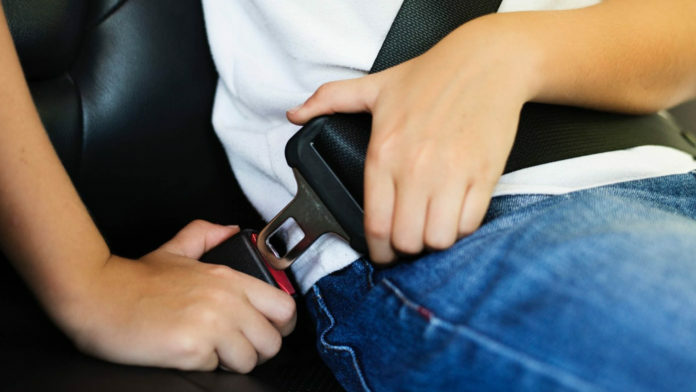 A measure aimed at protecting infants and young children from deaths and serious injuries arising from road crashes and other traffic-related incidents is just a step away from becoming law after the Senate ratified the bill mandating use of seatbelts for children in motor vehicles. With the affirmative votes of all 16 senators present, the harmonized version of Senate Bill 1971 and House Bill 6938, or “An Act Providing for the Special Protection of Child Passengers in Motor Vehicles” is now ready for enrolment before it could be sent to Malacañang for the President’s signature. Senator Joseph Victor Ejercito, principal author of the measure, said it is high time to implement and craft laws that will protect the lives of the people, especially children. “Child restraint system” refers to a device capable of accommodating a child occupant in a sitting or supine position designed to diminish the risk of injury in the event of a collision or of abrupt deceleration of the vehicle by limiting the mobility of the child’s body. These children are also prohibited from sitting at the front seat of the vehicles, unless the child is at least 150 centimeters or 56 inches in height and capable to properly fit in the regular seat belt in the front seat, the measure stated. “The child restraint system shall be appropriate to the child’s age, height and weight and approved in accordance with safety standards for child restraint system,” Ejercito said. Even if they are wearing child restraint systems, drivers are prohibited from leaving the children unattended inside the vehicles, the bill said. “This act should not be acceptable as this might endanger the health and life of the child,” said Ejercito, chairman of the Subcommittee on Special Protection for Child Passengers under the Committee on Public Services. For the protection of children using public utility vehicles, the Department of Transportation is mandated to adopt safety measures and issue regulations for the safe and secure transportation of children.